Moules Marinieres is a very simple classic French dish where mussels is cooked in white wine, onions, herbs with a hint of cream. This is very popular in French Brassieres especially when mussels are in season. In Philippines we have a nearly similar dish but the cream is omitted and ginger is added, using wine is optional as well. Water or stock is used all the time as the flavours of the shellfish are strong enough to give it a great taste. 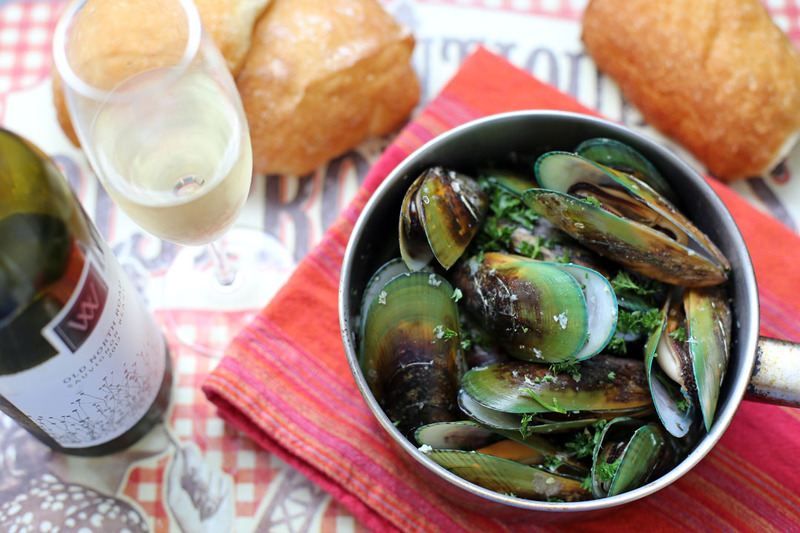 In this recipe we will be using the best type of mussels, the New Zealand ones unlike its Mediterranean counterpart the mussels we find here in New Zealand are packed with flavours, it’s huge and it’s meaty. 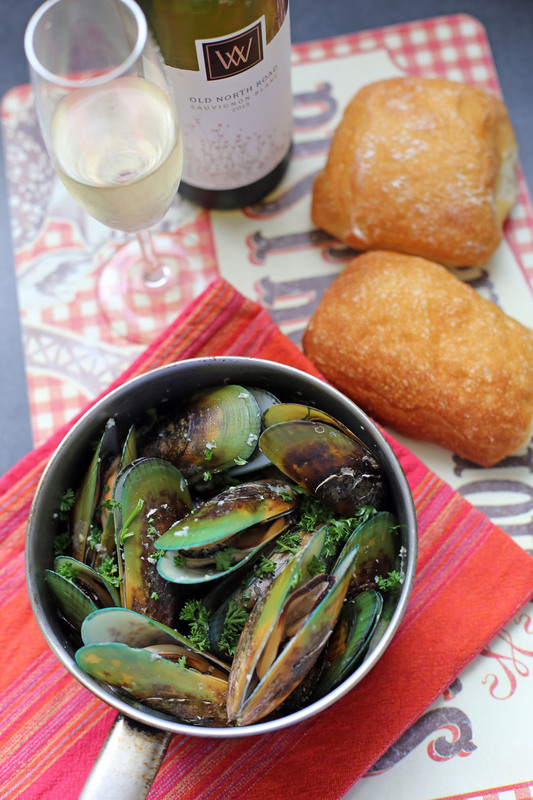 Having said that there no one stopping you from using the Philippine mussels or the black Mediterranean ones anyways regardless of the mussel type this dish is really flavourful, the flavours of the sea mixed with white wine and hints of cream is just a magical combination. Best enjoyed with piece of bread or chips/French fries and white wine. In a pot melt butter in low heat, once melted bring heat to medium then sauté garlic and onions. Now add the mussels together with the white wine, parsley and thyme. Bring to a boil and simmer until all mussels are opened. Add cream and simmer for 3 more minutes. Season with freshly ground black pepper. I love cooking and eating mussels, they are so easy to prepare. Never tried a cream version before, looks delicious! Mmmm mussels always a favourite in this house and I love this method of cooking them. In the past year I have acquired a LOVE for mussels and have been ordering them every time I see them on a menu. This is a recipe I need to make at home! Thanks for sharing this!